SCHEDULED ACTIVATION: A smart vacuum root that can vacuum, sweep and mop. Makes life easier with its programmable scheduler self activation, automatically runs at any scheduled time while you're away. Cleans carpet, hardwood floors, pet hair etc. 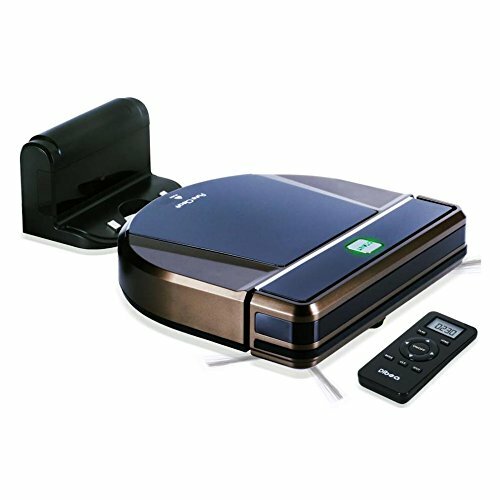 AUTOMATIC RECHARGE DOCK: The robot vacuum seeks the charging dock when it's low on battery. It has a built-in 2200mAh battery and HEPA filter that traps dangerous microscopic allergen. It also has a D shape look to better reach wall corners. If you have any questions about this product by Pure Clean, contact us by completing and submitting the form below. If you are looking for a specif part number, please include it with your message.